Sony Walkman F886 is portable hi-res music player | What Hi-Fi? Sony has launched its first Walkman music player to support high-resolution 192kHz/24bit audio files, the Sony Walkman F886. Launched at IFA 2013, the Sony F886 is due to be released in October and will set you back £250. 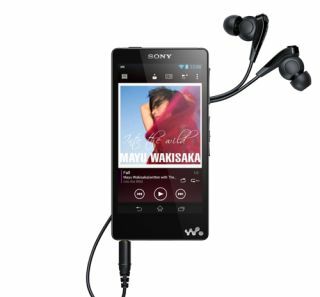 Following in the footsteps of the LG G2 phone, which became the first smartphone to support hi-res audio when it was announced last month (and now the Samsung Galaxy Note 3), the new Sony Walkman delivers hi-res audio for "six times more audio information that on a standard CD". Good news for audiophiles, there is however a slight drain on battery life: the F886 Walkman claims 35 hours for "MP3 tracks" and up to 26 hours with 96kHz/24bit files. The F886 is powered by Android 4.1 so has WiFi built-in for access to Google Play for apps, plus email, maps and more. An iPod Touch rival, then, thanks to its 10.2cm LCD screen. Elsewhere, Sony claims its latest S-Master HX digital amplifier will reduce noise and distortion and is optimised for HD tracks, while Digital Sound Enhancement Engine (DSEE) HX technology (phew), will get the best out of lower bitrate files. There's NFC technology for one-touch pairing with compatible devices plus integrated Bluetooth, too. We're certainly intrigued and can't wait to get our hands on one. The new Sony Walkman NWZ-F886 will be available from October for £250.